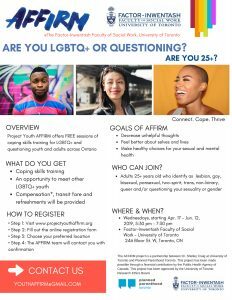 ARE YOU LGBTQ+ OR QUESTIONING? 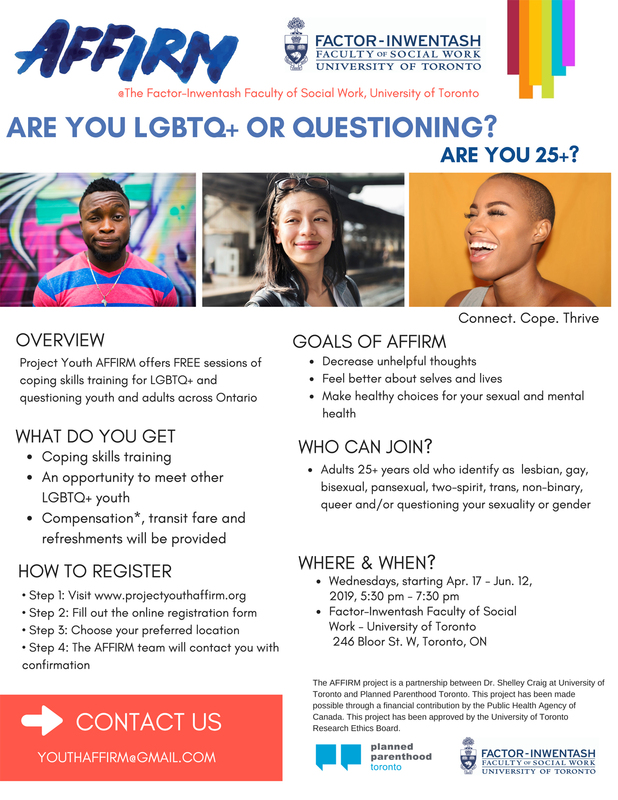 The AFFIRM project is a partnership between Dr. Shelley Craig at University of Toronto and Planned Parenthood Toronto. This project has been made possible through a financial contribution by the Public Health Agency of Canada. This project has been approved by the University of Toronto Research CONTACT US Ethics Board.